ZIF sockets:1 16-pin ZIP for 4004 processors, 1 16-pin ZIP for 4002-x RAMs and one 24-pin ZIP for 4040 processors. 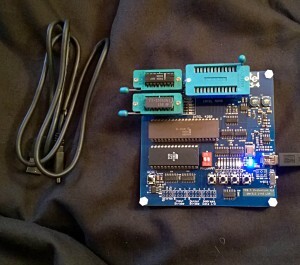 28C64: Holds the test program. This program handles 4 push buttons – as input – and 8 LEDs – as output devices. Nylon Stand-offs: Allow the board to be set safely on your workplace/desk. 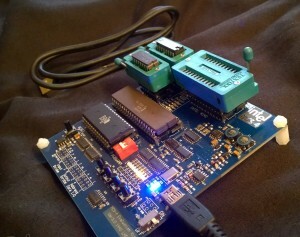 The board requires a single +5V power supply (350mA) provided through a mini-USB connector. 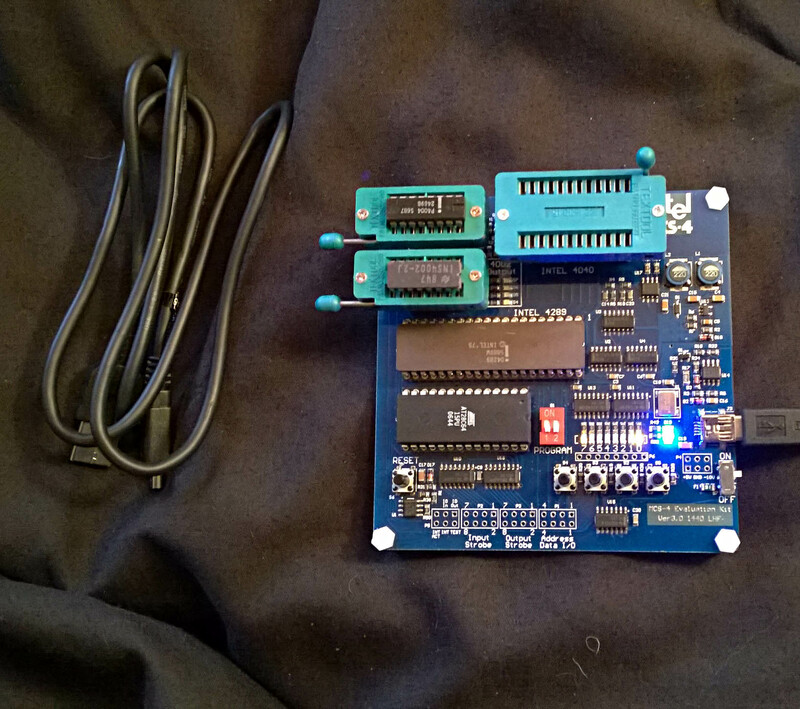 The board contains the DC-DC converters needed for providing the -5V and +15V power required by the CPU. Power can be supplied by a typical USB wall-charger or even the USB port on most computers. There is a power failure indicator and protection circuit implemented on the board. Address, data, control and INT lines are available, so that the board may be used for other projects or testing purposes.